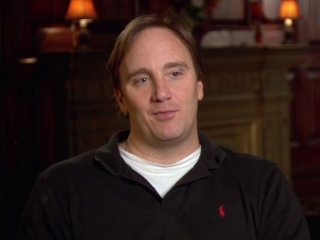 “Burt Wonderstone,” the movie that drove Jay Mohr into sports talk radio? Walken, and I, were both in stiches the whole time. Mohr, once and always Bob Sugar from “Jerry Maguire,” Mr. Mean on a lot of films and TV shows (especially the testy-tasty “Action”), has been reduced to bit parts on TV and in films, to hosting a lot of mediocre stand-up comedy and “debate” shows and the like, in recent years. You’d think he’d lost his edge altogether, if you never heard him substituting for Jim Rome on Rome’s sports talk radio show. Quick with a riff, a biting insult or brutal sports take-down, this isn’t the doughy/”actorly” Mohr of oh, “Scrubs” or “Ghost Whisperer,” what have you. This was the edgy comic people couldn’t wait to find a new project for. So now he’s got his own show, replacing Rome. And it’s funny and over the line, just the way Mohr once was. Watching “The Incredible Burt Wonderstone” last night, I wondered if that movie wasn’t the writing on the wall for the Jay-bird. He has a thankless, laughless, wimpy supporting part, a magician who never made it, who drinks tall gin and tonics (vodka tonics?) at the bar where Vegas magicians hang out, where guys like Steve Carell and Jim Carrey are given all the funny things to say and do. Mohr? He just gives us a dopey, starstruck look and makes us wish his character could afford a chin tuck. He’s always got some sort of work, but “Burt Wonderstone” is some sort of big screen nadir, a big budget film with him as seventh banana, and NOT FUNNY. Surely, this was a “Get me the radio gig” moment. Heard the show? He’s terrific on it. The movie? Not so much.